For some families on the road long-term, putting kids in local schools while traveling becomes an important component of the journey. No, I'm not talking about fancy (and often expensive) international schools, although those can be a good option for some. What I'm talking about are just the regular local schools of a city or country. With local kids speaking and playing in the local language. There are a number of benefits, and it may not be as difficult to do as you think. As many traveling families know, travel and education go hand in hand. There are hundreds of ways to approach education when traveling, but one you may have not thought about before is putting your kids into the local schools of the country you're traveling in. This isn't for everyone, and it doesn't work everywhere. That said you may be surprised at how easy and useful it can be to put your kids into a local school outside of your home country. This isn't the first episode where I've talked to parents who've enrolled their kids in locals schools. Some of these guests were just visiting, while others were moving there for a year or for much longer. Listen in! 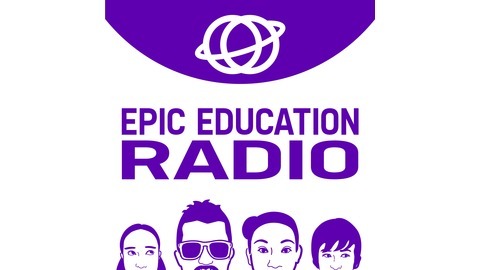 In this episode of Epic Education Radio, I talk with Stephen Lead, an Australian dad who has been traveling with his wife and two young girls for a year. They've put the girls into local schools in both Spain and Mexico so far. When we met in San Miguel de Allende, Mexico, Stephen and I went out for drinks and soon the topic turned to our experiences putting kids in local schools while traveling. We've done it, and so had Stephen. 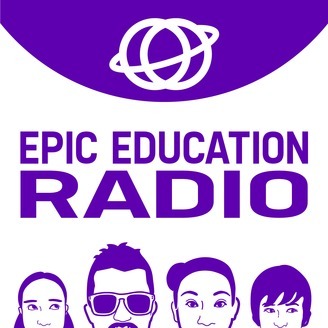 In fact, there are many episodes of this podcast with guests who have put their kids in local schools. I've had a few requests for more info and Stephen was keen to talk about it, and that' show this episode came to be. Short-term enrollment is easy for primary school-aged kids and younger. Some schools require some paperwork, such as a birth certificate (or a copy of one), while others require almost none. Don't over plan or stress over the preplanning. Some schools work out, some don't. Book accommodation based on convenience to town or whatever you're interested in, rather than accommodation close to the school. List of other episodes with parents putting kids in local schools at the end of the post. When I suggest putting your kids in a local school, your first question may be "Why?" For many families, the routines of school and work are part of the reason for traveling in the first place. I get that. And I'm not suggesting this route for everyone. That said, both Stephen and I have learned that it added to our travels and relationships in positive ways. Kids sometimes need other kids. Putting your kids into a local school gives them an opportunity to interact with children their age. When kids are young (say, 9 or younger), it's much easier to play and have fun without the need for verbal communication. And yet, as they play, your child will be picking up the local language much faster than any textbook could give them. Attending locals schools can be a great way to learn a new language. I won't say it's easy at first, but being around local kids is a huge boost to language learning. Sure, kids are sponges and they'll soak up so much from being in a class where only the foreign language is spoken, but it's the playtimes where real progress happens. If your family is traveling long-term, then you see a lot of each other. Whether it's for a summer or a year, long-term travel families are with each other 24-7, and that can be draining. This goes double for guys like Stephen and me, who are still working full-time as we move around. Sometimes you need a few hours to knock out a deadline. Sometimes you want to have a leisurely lunch with your wife. By the same token, sometimes the kids need to play games with other kids. Stephen and Gloria have two adorable daughters, and the oldest, Penelope, was starting school and going to be the youngest in her class. So what Stephen and Gloria decided to do was take a year to travel, studying Spanish along the way. Their first main stop was Seville, Spain, where they put the kids in local Spanish schools. Here they attended a local Montessori school. There were a lot of tears the first week, he says. But by week two, both girls were happy to head to school. As for schools in San Miguel de Allende, Mexico, they discovered lots of options once they arrived. In fact, they wouldn't have known just how many options if the school they planned on fell through (details in the podcast). This helped them realize that when putting kids in local schools, don't stress out too hard with the preplanning. For example, their entire plan for the Mexican school fell through, but they were able to find another great option once they arrived. If you're new to this blog, then you should know that my kids have attended local schools in Japan, Malaysia, and Spain. And they may soon attend local schools in Mexico, as well. That said, each is a different situation. In Japan, they were local kids, as well. Both kids were born there and speak Japanese. In Malaysia, they utilized the Distance Learning Program of an international school on the island of Penang. They weren't actual students at the school, but could use the library and join extracurricular activities. In Spain, they were really thrown into the deep end. We lived in Valencia, Spain for almost two years, and they attended local Spanish schools the entire time. They didn't speak any Spanish when we arrived. None of us did! Yet when we left, both kids had loads of Spanish friends and spoke Spanish quite well. It was tough in the beginning, but it worked out in the end! Would You Consider Putting Your Kids in Local Schools? Would you put your kids into a local school in a foreign country? Where? Have you put your kids in local schools somewhere? What was your experience like? Let us know!